A visit or migration to Australia can be a cumbersome process as far as visa is concerned. But after the process of ETA, it has become little easier to some extent. Before applying if you research well, the whole process will become easier. Type Of VISA– Finding the type of visa you should be applying for can save both lot of time and energy. In case you just can`t figure out under which category you should apply, you can visit the website of the Department of Immigration and Border Protection. There are categories like tourist visa, transit visa, business visa, student visa, temporary entry visa, permanent entry visa, resident return, medical treatment etc. 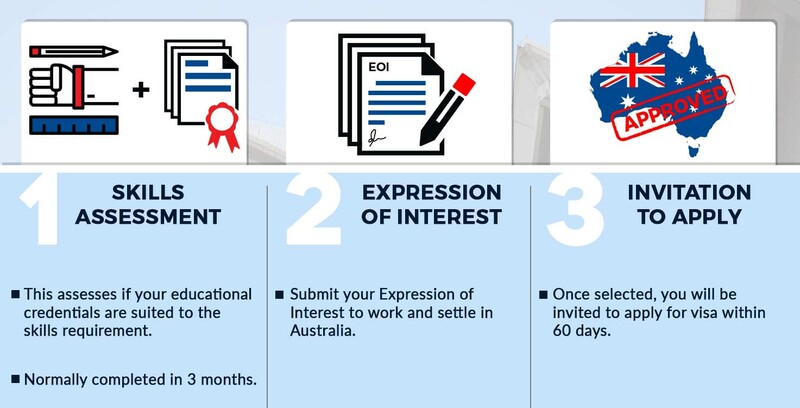 For an Australian visa, you need to follow certain rules and procedures. You are first required to get an Australia online visa application form. After you fill your details correctly, you will need to pay the service fees and charges. The mode of payment can be electronic through credit or debit card. Submit the form along with the documents required. After this, you will have to wait for your visa to be processed. You will be able to track your visa application status. Once it is processed, you will be notified if your visa is approved or rejected. The required documents will be mentioned in your application form. As the documents vary between types of visas and its sub categories, you need to read all the necessary documents closely. Also be educated on any other requirements the visa entails such a sponsorship, letter of invitation, a letter of support & health requirements and so on. After you have submitted your application, the processing time can vary depending on your application. Each subtype also takes different processing times. Please check your sub category to find out the processing time for your application. Providing false information or inaccurate information can delay the processing time and can even lead to a rejection. You are advised not to book your air tickets to Australia before your visa is approved. Any delay or rejection of your application will result in the loss of the tickets and the expense of that will have to be borne by you. Online – You can apply for a visa to Australia online. Fill up the relevant form on the Australian visa website or you can also visit australiae-visa.com and submit it. Australian Visa Application Centres – Visit the nearest center and lodge an application. Postal Service –You can send your application to the application centres via post. You can then track the processing time and status of your application online. For more information and details kindly visit www.australiae-visa.com ! Appreciating the commitment you put into your website and detailed information you provide. It’s good to come across a blog every once in a while that isn’t the same unwanted rehashed material. Great read! I’ve bookmarked your site and I’m adding your RSS feeds to my Google account.